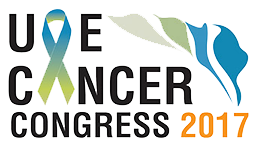 Zaphyr Pharma will participate to the 9th edition of the UAE Cancer Congress, which will be held in Dubai from the 5th to the 7th of October 2017. This is an important event dedicated to the latest scientific developments and research in cancer across the world and brings together all specialties involved in the management of patients with cancer in the region. This will be a good opportunity for Zaphyr Pharma to develop partnerships with regional physicians and healthcare professionals and discuss the latest innovations in cancer treatments.